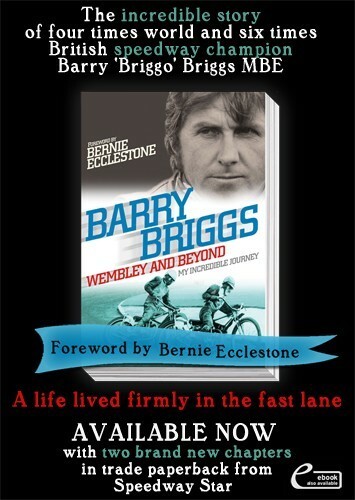 This is the official website of four-times World Speedway Champion, Barry Briggs, known to his fans, worldwide, simply as “Briggo”. Born in Christchurch, New Zealand, he has been one of the most accomplished and popular racers of all time. He has been twice voted into second place in the BBC Sports Personality of the Year. In 1964, he finished runner-up to England’s Olympic ‘Golden Girl’, Mary Rand and again, in 1966, behind England’s victorious World Cup Captain, Bobby Moore. 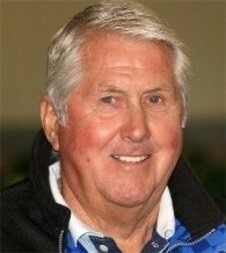 In 1976 He was awarded the MBE for services to sport and was inducted into the New Zealand Sports Hall of Fame in 1990. Whether in front of 100,000 fans at Wembley Stadium, or a few hundred in Wanganui, whether racing on ice in the old state of Czechoslovakia, or on the concrete at New York’s famed Madison Square Garden, or just giving the Poles the run-around in Wroclaw’s Olympic Stadium, Briggo. the man, is a massive performer. 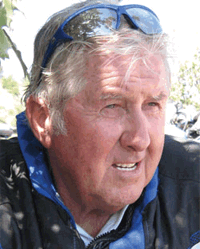 In 2010, at 75 years of age, Briggo completed a, UK wide, charity motorcycle ride on behalf of twelve former speedway riders confined to wheelchairs after track accidents. He raised a staggering £70,000 and took his appeal to over 30 speedway tracks in the UK as well as venues in Denmark and Poland. 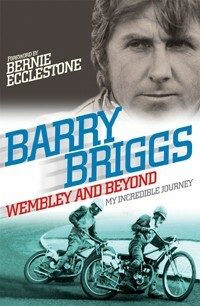 Barry, is a tremendous personality, a great ambassador, and arguably the finest speedway racer of all time.